No, but that is not to say that you will feel nothing. The insertion of the needle will be felt and sometimes you will feel a pinch. The area of insertion may get itchy or tingly or feel heavy. A radiating sensation may also extend from the entry point to other areas. 2. How do I know the needles are clean? All needles used at AOMTC are single-use, individually wrapped, sterile filament needles. They are FDA approved. 3. How does acupuncture work? 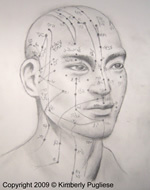 Acupuncture is one of the key components of the system of Traditional Chinese Medicine (TCM). In the TCM system of medicine, the body is seen as a delicate balance of two opposing and inseparable forces: yin and yang. Yin represents the cold, slow, or passive principle, while yang represents the hot, excited, or active principle. Among the major assumptions in TCM are that health is achieved by maintaining the body in a "balanced state" and that disease is due to an internal imbalance of yin and yang. This imbalance leads to blockage in the flow of qi (vital energy) along pathways known as meridians. Recent National Institutes of Health research has shown acupuncture may cause physical responses in nerves cells, the pituitary gland, and brain. These responses can cause the body to release proteins, hormones, and brain chemicals that control a number of bodily functions. Apparently, by these actions acupuncture affects blood pressure and body temperature, boosts immune system activity, and causes the body's natural painkillers, such as endorphins, to be released. 4. Do I need to prepare in any way before receiving acupuncture? Allow ample time for treatment. Your initial treatment will be preceded by a thorough consultation. Together these will last up to one-and-one-half hours. Subsequent treatments will last up to 45 minutes. On your first visit, you will need to arrive 15 minutes early to complete paperwork. It helps to be in a relaxed frame of mind before treatment. Also, be aware that you will need to remove some (but not all) of your clothing. A robe will be provided. Do not eat a heavy meal before treatment, and abstain from alcohol. 5. What can I expect after treatment? You may note a spot of blood, bruising or redness at one or more of the needle sites. There may be a slight soreness or itchiness. In any event, you should be able to resume your normal activities immediately. 6. Can I continue taking my regular medication while receiving acupuncture? Yes. 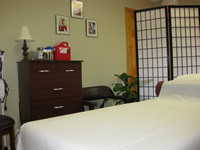 You can continue taking your medication while receiving acupuncture. 7. Can acupuncture help senior citizens? Although acupuncture can benefit people of all ages, the elderly typically suffer from a variety of conditions and ailments that are particularly amenable to acupuncture treatment. These include high blood pressure, joint pain, and weakened immune systems. 8. How long will it take for me to see improvement? A number of factors will influence whether you will get better, and how long it will take. It depends on your current state of health. In general, elderly patients and patients who have chronic conditions will need a longer time to improve. Your recovery will also depend on how often you receive treatment and how actively you participate in your self-care. 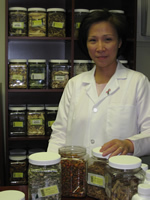 Traditional Chinese Medicine holds that an individual's lifestyle is largely responsible for one's state of health. Because of this, we will ask you to take an active role in your treatment. 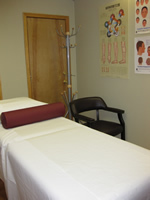 You may be asked to do self-acupressure (massage appropriate acupuncture points), modify your diet, and exercise. The changes you are willing to make in your lifestyle are likely to have a significant effect on your level of well-being. 9. What types of conditions can acupuncture treat?